Find all the nitty-gritty details and logistics of the TransRockies Run in the Race Guide and via the information below. Please pick up your race packet on Monday, August 12th, 2019 at South Main Square in Buena Vista between the hours of 12:00pm – 5:00pm. Camping packages start following stage 1 – you are on your own for accommodation before then. Camping ends after stage 5, there is no camp in Beaver Creek. Fly into Denver International Airport – Sunday, August 11th, 2019. TransRockies Airport Transfer to Buena Vista – See Shuttle options below. Book a Hotel in Buena Vista for 2 nights starting on Sunday, August 11th, check out Tuesday, August 13th, 2019. Have a car to leave in Buena Vista? Park in the gravel lot in South Main across from the ball fields (see Race Guide for map). Camping with the race until Saturday, August 17th, 2019. Book your shuttle to Denver or Buena Vista via your online account. Fly out from Denver mid-late afternoon on Monday, August 19th, 2019. Book a Hotel in Buena Vista for 2 nights starting Sunday, August 11th to Tuesday, August 13th, 2019. Have a car to leave in Buena Vista? Park in the gravel lot in South Main (see Race Guide for map). We have shuttles available to get you from the Denver airport to Buena Vista where the run begins. You only need to book accommodation for anything before Stage 1. After you run Stage 1 we’ll have your tent set-up and everything ready to go that evening for you - all the way through to Stage 5. A minimum of 6 guests per trip is required for the shuttle to run. You will be notified in advance if your selected shuttle is not running. You can add Airport Transfers to your online registration. Cost: $119.00 per guest, plus gratuity (Book online via your registration account prior to the event). Please meet in the main arrivals hall next to the pillar that reads West Terminal Baggage Claim 10-15 beside the escalator. Book early! Buena Vista is small and rooms sell out quickly. Click HERE for lodging information. Arrowhead Point Campground & Cabins - BOOK EARLY!! Also available, Cottages, Loft Cabins, Deluxe Cabins, & Yurts! Grills at every site for cooking and campfires, free Wi-Fi, sparkling clean restrooms and laundry facilities available. Espresso bar onsite! Your last night of camping will take place after Stage 5 and then you will run Stage 6. You will need to find your own accommodations for after Stage 6 and arrange transportation home. We have several great options and shuttles you can add-on to help make things easier. To Buena Vista. If you’ve left your vehicle at the Start in Buena Vista, this is a great way to get back to it following RUN3. To Vail Transportation Centre. If you need to get to Vail or the Denver Airport, this shuttle will take you to the Vail Transportation Centre, where you can connect to Colorado Mountain Express for airport transportation or access other transportation providers. Departs from the Beaver Creek Centennial Station Bus Loop – On Elk Track Road next to the Osprey Hotel. Same place where you picked up your luggage after Stage 6. We do not pick you up from your hotel. Cost – $119 per person – Book online via your registration account prior to the event. Colorado Mountain Express offers transportation from Vail to Denver International Airport. Rooms starting at $199 per night plus tax. 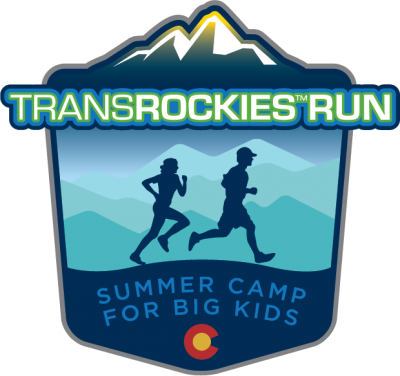 Reservations can be made by calling 1-877-820-7669, Option 1 and referencing the Group Code GL9RCK for the TransRockies Run rate ($169USD + applicable taxes/fees). Tent: Thursday, August 15th, 2019 and Breakfast August 16th, 2019 (choose to stay in camp the night you complete the GU RUN 3). Cost: $50. Please see the Race Office to book. Get ready to fuel right! Replenish and repair your muscles for this endurance run with an amazing variety of fresh food choices including plenty of lean proteins, whole grains, healthy fats, colorful fruits and vegetables. When possible, Colorado, organic or homemade products were selected as part of the meal and foods without artificial coloring, additives or partially hydrogenated oils (aka “trans-fat”). We’re even using recycled paper plates and cups! A gluten-free and vegan buffet is also offered nightly. Participants are welcome to go through both food lines which includes items such as a quinoa/brown rice blend, peas, steamed potatoes, raw nuts, olives, pumpkin seeds, beans, beets, diced fresh fruit, assorted raw vegetables/salad greens, Colorado diced chicken, shredded cheese, hard-boiled eggs and cottage cheese. New products and menu revisions were a collaborative effort between the Gourmet Cowboy Catering Team and a sports dietitian. * Items may vary based on availability and freshness. Lunch is the responsibility of the participant, however, the TransRockies™ Run route is designed to finish in areas where food is readily available throughout the afternoon. How do you bring the “Challenge of a Lifetime” and the highlight of your summer to a proper conclusion? With a great party of course! Following the conclusion of the TransRockies Run, all participants are invited to join us for a catered banquet at Beaver Creek Resort. This special evening will feature the awards ceremony, finishers’ ceremony and a picture presentation. Friends, family and support crew are invited to attend as well, with additional tickets now available for $59 per person. $39 for children (5-12 years). Remember, registered participants do not need to pre-order – your banquet tickets are included. The following items are checked at the entrance to the start corral starting on stage 2. You will not be permitted to start stages 2 through 6 without these items. All your gear for the week needs to fit into one large duffel bag (approx. 32"x18"x14" - 132 L). Extra clothing for traveling etc. can be left in the luggage you arrived with, which will be transported to the finish line for you. HOTEL PACKAGE - 2019 Sold Out! Looking for a more luxurious TransRockies Run experience? We’ve created hotel package upgrades for those participating in the RUN3 and the RUN6. Packages include van transportation daily between hotels and breakfasts, hotels and starts, finishes and hotels, hotels and dinners, and occasional concierge transportation. Hotels subject to change to similar accommodation based on availability. For the 2019 edition of the TransRockies Run, TRR Champion Coach Jacob Puzey will offer tailored training plans and one-one-one coaching for runners of all ages and abilities. With over 20 years of running experience and over a decade of coaching athletes of all ages and abilities – from middle schoolers to masters, newbies to national champions – Coach Jacob has a proven track record as a coach, mentor, and motivator. Even with a large family, Jacob has found ways to balance family, work, and running in such a way that he is still competitive internationally. Jacob has found ways to maximize his training time and get the most of himself each time he toes the line. This approach has increased fulfillment for him and countless others that he coaches. While TransRockies Events does not offer training camps, we have friends who do! Check out the offerings below. Located in beautiful British Columbia and Alberta, our destination camps will take place in the Kootenay, Selkirk and Canadian Rocky Mountains. P.A.C.E. Sports Fitness Fitness Mountain Running camps will bring you an unforgettable and memorable running experience. Our camps offer a variety of options suitable for the experienced trail, ultra or mountain runner to the trail runner who has never run in the mountains before. Participants of our camp will experience a diversity of running terrain along high alpine ridges, alpine passes, forests and glaciers.